Alles in allem halt doch nur eine "Boyband"!!! Auch am zweiten Album das übliche eben..aber immerhin der erste von mir zugegebenen guten Nummer dabei. Insgesamt schwach, unter 2.5* wert. Kann nichts viel anfangen mit den Boys. sure, back for good und never forget - gehören wohl zu den größten hits der gruppe. daher ist das album schon 3 punkte wert, aber 4 ist etwas zu viel, weil der rest eher schwach ist. Dieses Album weist außer den Singles weitere Highlights auf. Every Fuy, Sunday To Saturday und The Day After Tomorrow wären vielleicht noch eine Single-Auskopplung wert gewesen. This is an amazing album which was number 1 in many countries world wide. The album still sounds fresh and great today. The melodies and lyrics are high quality and the songs stronger than the previous albums. The album produced 3 UK#1 singles. Best songs are Never Forget, Back For Good, The Day After Tomorrow and Sure. Robbie Williams left the group sending fans and the media Worldwide into meltdown hence why in hindsight this album represents the beginning of the end. 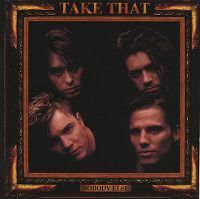 Two weeks later eerily though with unplanned timing the track 'Never Forget' hit UK#1 with archival footage of the group's ascent to the top as the music video. 3rd UK top ten album. 41 Weeks in the UK top 100. 327,000 sold while at #1. Their second UK#1 album. 11 weeks UK top 10. UK#1 (2 weeks). 6 weeks Austrian top 10. Austria#1 (2 weeks). 6 weeks Belgian top 10. Belgium (Flanders)#1 (2 weeks). 6 weeks Finnish top 10. Finland#1 (2 weeks). 11 weeks German top 10. Germany#1 (1 week). 4 weeks Irish top 10. Ireland#1 (2 weeks). 15 weeks Italian top 10. Italy#1 (3 weeks). 4 weeks Dutch top 10. Netherlands#1 (1 week). 4 weeks Scottish top 10. Scotland#1 (2 weeks). 7 weeks Swiss top 10. Switzerland#1 (4 weeks). 6 weeks Belgian top 10. Belgium (Wallonia)#2. 4 weeks Spanish top 10. Spain#2. 4 weeks Danish top 10. Denmark#3. 3 weeks Norwegian top 10. Norway#4. 10 weeks Hungarian top 10. Hungary#5. 2 weeks Icelandic top 10. Iceland#6. 4 weeks Portuguese top 10. Portugal#7. 2 weeks Swedish top 10. Sweden#7. 10 weeks Euro top 10. Europe Hot 100#1 (5 weeks). 2 weeks Japanese top 10. Japan#6. 3 weeks Australian top 10. Australia#2. World Chart Year End (1995): #28. 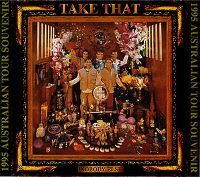 680,000 copies sold in the UK. 287,000 copies sold in the US. 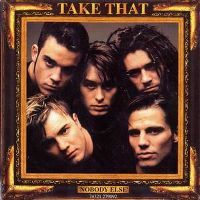 The biggest selling boyband album of 1995 in the UK. 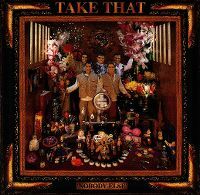 The biggest selling global boyband album of 1995. Year end (UK): #16 (95). Year end (Europe): #14 (95). Noch eine ganz knappe 4.